Taylored Tri Training is a Boulder-based triathlon and running coaching company. Whether you are entering your first triathlon, or racing as a professional triathlete, Taylored Tri has the resources to help you complete or PR on any course length. Taylored Tri focuses on a holistic approach to training which includes strength training, swim/bike/run training, and nutrition to enhance the athletes performance. Sam Taylor is originally from Perth, Western Australia. He has been a high performance athlete in Basketball, playing on the NITCP National U18 Team at the age of 13, before switching his focus to cycling and triathlon after a severe knee injury in 2009. 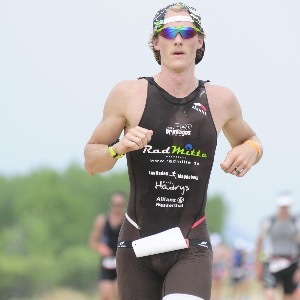 High level athletic performance has always been a part of Sam's life, and his endeavor as a triathlon coach is to allow others the opportunity to see their potential as an amateur or professional in the sport. Sam utilizes this scientific background to give his athletes the best opportunity to succeed. His background in Corrective Exercise and Performance Enhancement allow Sam a unique insight into biomechanics to catch injuries before they happen, and keep his athletes healthy. Success. Coach Sam Taylor has been notified of your message.